Congratulations on your forthcoming marriage. The website www.yourchurchwedding.org has been set up to help you through the process of planning your special day. It contains lots of useful information. At an early stage you need to contact me (Graham Hedger, the Priest in Charge) to complete a basic form which enables me to confirm that you are able to get married in one of our churches, or what steps you will have to take to enable this to happen. On the website you will see that it sets out the legal requirements and these days there are many ways to enable you to get married in a church of your choice. 1 To complete the ‘Banns form’ which covers the legal requirements and effectively ‘books’ the church. This meeting usually takes 30-45 minutes. At this meeting I will also give you information about the service, material to take away and an idea of the cost of the service. 2 About four months prior to your wedding ‘A space to think’, this is a longer meeting, usually up to two hours. This enables you both to reflect on some of the promises that you will be taking and enables us to plan your service. 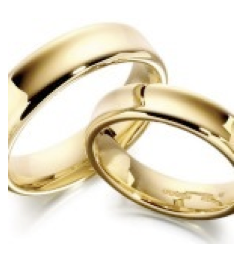 We set the dates for the reading of your banns and confirm the cost of your wedding. 3 The rehearsal. This usually takes place on the evening before your wedding, in the church and enables you and your families to walk through the service. I hope this will help you as you begin to plan your wedding day and the next step on your journey together. Please do get in touch. Wishing you God’s rich blessing on you both.